THE REOPENING OF Westsyde elementary in September could have benefits that go beyond education. 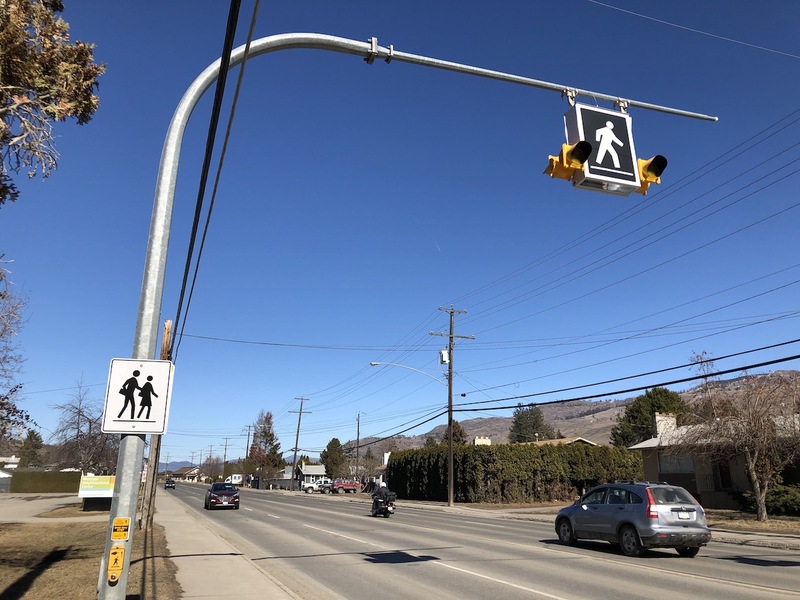 One of the concerns raised by parents when the Kamloops school board was considering the issue has to do with traffic on Westsyde Road in front of the school, and the board has committed to working with the City to resolve those concerns. The speed limit will be reduced, of course, but RCMP will also run radar and keep a close watch on speeders. And, a second crosswalk at the school will be looked at. Those are all good things but it shouldn’t stop there. Last summer, while traffic improvements were being made at the opposite end of Westsyde Road at Westmount elementary, I suggested a review should be done of traffic issues along the entire length of it all the way to Westsyde elementary. As I pointed out then, pedestrians and drivers are in constant conflict despite the installation of flashing lights at crosswalks. Though it’s my impression that the situation has improved from what it used to be, pedestrians and drivers are still careless and another tragedy is waiting to happen — pedestrians don’t take advantage of the flashers as they should, or they dart out onto the roadway, and drivers don’t pay attention. I suggested permanent flashing yellow lights and warning signs all along the route as one step. With the improvements at Westmount elementary, and the ones to come at Westsyde elementary, traffic calming will be like book ends, with the same old problems continuing in between. So, I’ll ask again. Why not expand the study of what needs to be done at the school into the entire road between the Dunes golf course and the Halston overpass? It just might save someone’s life. Drop the speed to 50. 50 is standard speed for a road like this. Chilliwack has a similar road and yes, 50km/h. B)The additional basement suites and 4-plexes that have infilled throughout Westsyde. Westsyde’s population is completely different than it was even 10 years ago and we need the speed laws to reflect that. I think the best solution is to install traffic lights at Arthur Stevenson school, at Westsyde Elementary and at Porterfield. Other locations like the Chevron too. More lights will force people to slow down. I would say that would be a complete waste of funds. And so it would another “study”. One problem is building roads that resemble Formula 1 tracks. The other problem is the inconsistent enforcement. Another problem is the lack of severity in consequences, from a law perspective, for the ones causing accidents.